Just a few months after launching new digital travel magazine Wonderlust after nearly a decade out of the magazine business, legendary publisher Bob Guccione Jr. and his team are partnering up with online hotel marketplace Curacity. Traditionally in travel journalism, the link between editorial and monetization of booked travel has experienced a serious disconnect. But Curacity allows Wonderlust reader s to book hotels as they read about them, “at the point of inspiration” through their data-driven platform. Curacity uses proprietary software to connect hotels to their potential customers via online travel magazines. 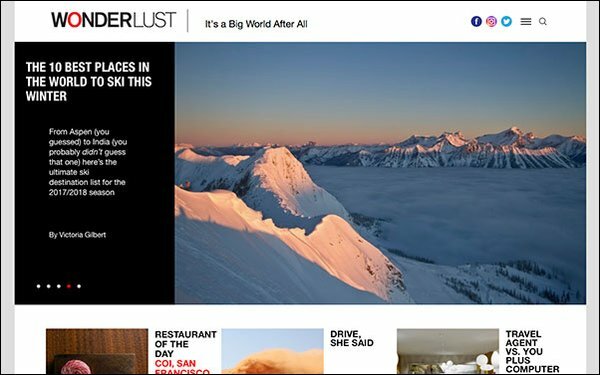 Rather than paying a commission to booking services, usually through powerhouse companies like Expedia or Hotels.com, hotels support the publishing outlet directly when readers book their travel through Wonderlust. Curacity tracks a hotel’s bookings over the course of a year, recording the financial impact of a hotel-focused article from a specific publication. The publication then earns a portion of that money back. According to Mike Keriakos, cofounder and CEO of Curacity, a publisher could see a yield 10 times the amount it would see through traditional networks by being a member.